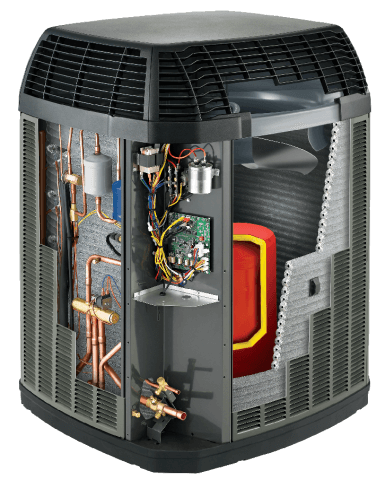 Despite the name, a heat pump is actually a central part of both a heating AND cooling system. Air from outside is brought into the system, heated or cooled, and then the “excess” is pumped away from the home. The cooled or heated air is then transferred throughout the home via the ductwork. Cote’s Mechanical has HVAC experts who have worked extensively with heat pumps. Our business is locally owned and operated, and we know the Denton area well. We understand the local climate and can help keep your home cool in those hot Texas summers and keep it warm when the temperatures drop over the winter. If you’d like information about our heat pump services or you’d just like to ask a question, don’t hesitate to reach out to us today. Over time, heat pumps wear out and will require replacing. On standard, residential HVAC units, HVAC pumps generally need to be replaced every twelve years. There are many benefits to replacing the pump on your HVAC system. Not only will you likely not have to worry about this part breaking and needing repairs anytime soon, but you’ll also get better efficiency from both your heater and air conditioner. That can save you money on your energy bills and also make you feel good about what you’re doing for the environment. In addition, it may help you avoid hot and cold spots around your house. Heat pump maintenance and repair are necessary to keep your residential or commercial air conditioner and heater running at its very best. Think about it – is there any other machine in your home that works harder and for more hours each day than the HVAC system? A little maintenance upfront may help you find a small problem before it turns into a big one. Many of our customers at Cote’s Mechanical like to schedule HVAC maintenance around the time they are switching from heating to air conditioning or vice versa because it allows us to optimize the system for the coming change in temperatures. Don’t stress about your heat pump; let Cote’s Mechanical replace or repair it for you. Contact us today to learn more or to schedule a visit from one of our heat pump experts.